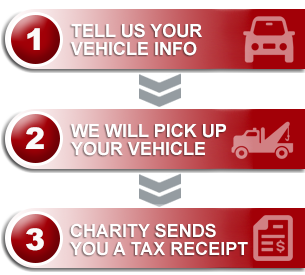 We assess each vehicle donation individually here at Donate a Car Canada. Sometimes an old clunker that looks like she’s ready for the scrap heap will surprise us. One old Safari van did just that, with happy results for one of our homeless outreach charities. When a Calgary family needed to clear their old minivan from the driveway, they discovered the option of gifting any Canadian charity through our program. They donated their Safari, asking that we consider it for re-sale despite it’s age and mileage. In the market we’re in today this would have been a big ask: the Safari was 20 years old with mileage approaching 300,000 km. On paper, she was ready for her last ride. Finding a buyer for a van on her last legs can be a challenge, but the family requested that we consider her for auction. Big dollars from old GMC Safari stretch a long way! Happily, the right buyer just happened to be on site on sale day. The van caught their eye, and a generous sale bid was made. Inn From the Cold was the happy recipient of a gift of over $500.00! In 2015, 43,667 shelter bed stays were possible, we served 131,001 meals to homeless children and their families, and were able to offer our Early Childhood Development Programs to 5,535 participants. Your donations allow us to offer shelter, sanctuary, and healing to all of our guests 365 days a year. A gift of a few hundred dollars stretches a long way to bringing relief, warmth, and education to our country’s most vulnerable families. This unique outcome is one of the great joys of serving our 780+ charities. We know that every vehicle has its own story and deserves a fair chance, and that every dollar that comes from donated vehicle processing counts!